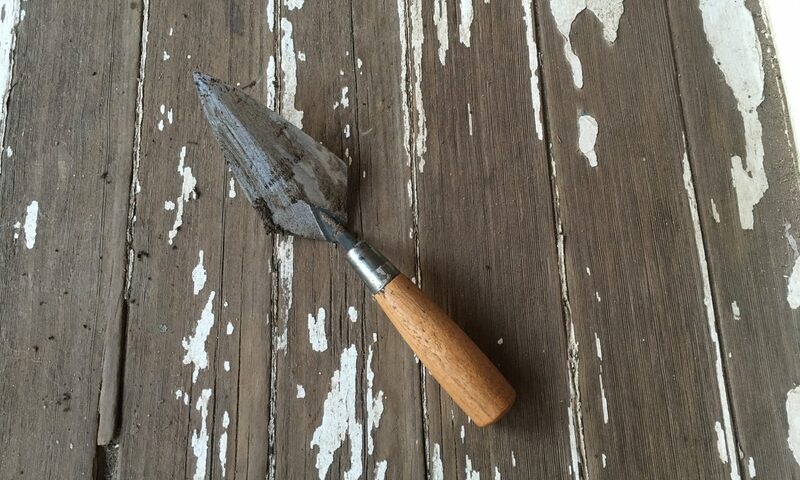 The first interesting find isn’t an animal bone. 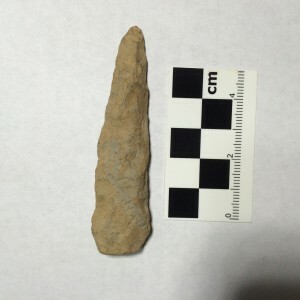 This argillite projectile point was mistakenly put in with the animal bones in the field. It’s unusual to find argillite tools at the Lamoka Lake site – most of the Lamoka points at the site are made from Onondaga chert. In the original excavations in the 1920s, however, William Ritchie did identify a single biface made from argillite which, he said, was identical to the argillite found in New Jersey. Argillite Point from Lamoka Lake. This point is similar to Lackawaxen points found in the northeast, especially in Pennsylvania, that also date to the Late Archaic period. 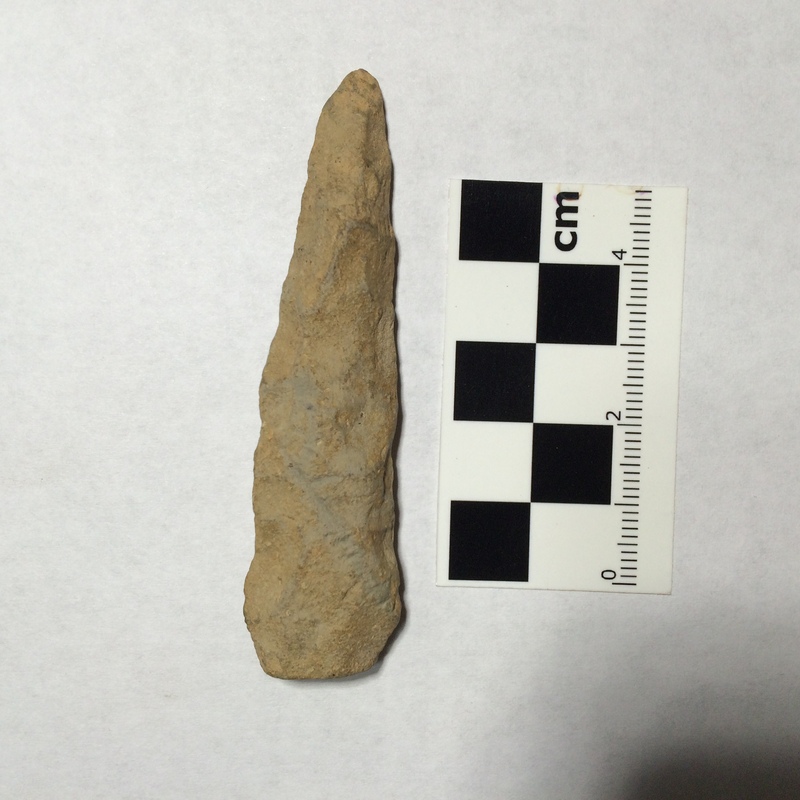 Compare it with these Lackawaxen points excavated from a CRM project in Philadelphia.